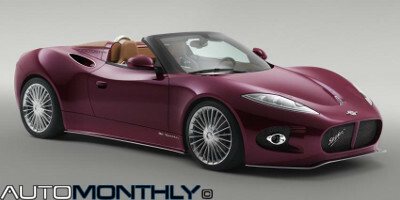 A week ago, Spyker announced it would unveil a new model at the Pebble Beach Concours d'Elegance, and it seems that they have fulfilled with that promise, showing us for the first time, the convertible version of the B6 Ventator. But keep in mind that this is only a concept, at a later date, Sypker will reveal the final version. 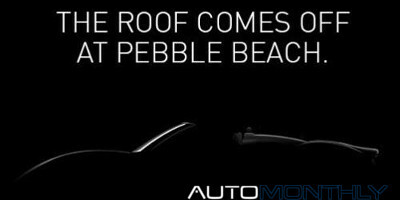 Spyker has just teased a new model with an image that reveals almost nothing and a phrase that says: "The roof comes off at Pebble Beach". What better place to reveal a car so luxurious like a Spyker than the Pebble Beach Concours d'Elegance which will be held next week. Spyker, possibly because of the failed attempt to save Saab, was gone from from most auto shows and every time we heard something about the Dutch company it wasn't good news, so it is good to see the car maker is trying to make a return starting with the presentation of the B6 Venator Concept "a unique alternative in the High Luxury Sports sector".